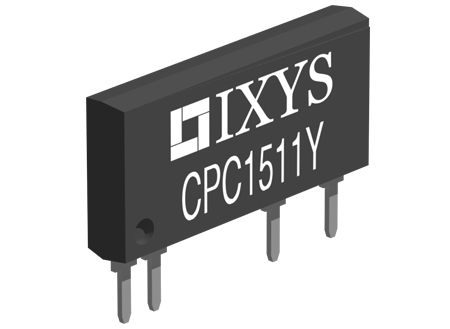 IXYS Integrated Circuits Division (ICD) announced the immediate production release of the CPC1511, a current limiting 1-Form-A normally open Solid State Relay (SSR) that replaces electromechanical devices while enhancing the performance of switching applications. The CPC1511 relay provides current limiting for unidirectional DC applications, in addition to typical AC applications. This current limiting 1-Form-A normally open SSR is ideal for general power switching applications in instrumentation, IoT products, industrial controls, peripherals, security, and medical equipment. Key features include built-in current-limiting protection circuitry, thermal shutdown, linear AC/DC operation, low power consumption, clean, bounce-free switching, and an extended operational lifetime over electromechanical relays. The CPC1511 is available in a 4-Pin Power SIP Package (25/Tube).